We work with a lot of bartenders and we’re constantly keeping up with what’s going on in the spirit industry. It’s great to see some of the new things professionals are coming up with, as well as some of the older practices they’re rediscovering or reinventing. Here are some fun things to keep an eye on as 2015 gets underway. Sweeter cocktails are everywhere, but Americans are increasingly picking up on more bitter flavors. From hoppier beers to dark chocolate, our national love affair with “sweet” seems to be taking a back seat, and a few Italian brands are benefiting in a big way. While they’re still far from the mainstream, bittersweet spirits like Fernet Branca, Aperol, Sambuca and Campari are increasingly showing up in craft-conscious cocktail menus throughout America’s big cities. While many of these brands began as digestives and medicinal tonics, mixologists have been finding increasingly creative ways to work them into our national cocktail culture. 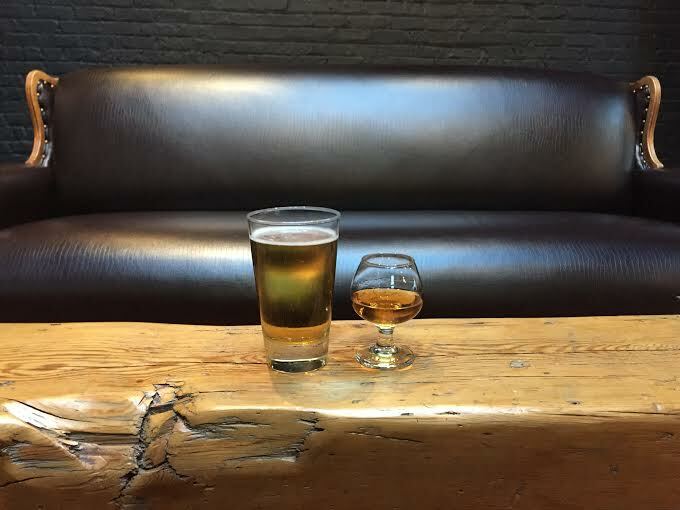 Lately, many bars are experimenting with upscale beer-and-shot combo pairing menus. While it’s largely a matter of taste, and many bartenders prefer an uncomplicated domestic pilsner, we like a lighter, almost crisp IPA with our Angel’s Envy. The mild bite from the hops pairs very nicely with Angel’s Envy’s subtle sweetness. If IPAs aren’t something you enjoy, you can always double down on the sweetness with a nice Belgian or Belgian-style beer. The burn on the backend of the bourbon clears away the sweetness, keeping the pairing from ever becoming cloyingly sweet. Be warned though, the higher ABV levels of these beers can make for a potent partnership. Is that a Cocktail in Your Pocket? Over the past year, we’ve seen a huge increase in pre-batched punches, cocktails and mixed drinks on tap. But a handful of establishments are taking it even further. Some bars and restaurants are stepping up their cocktail game by serving select beverages exclusively in flasks. While we think it sounds like a lot of fun, good luck keeping them out of patrons’ pockets. Beyond cocktails offered in flasks at a handful of bars and restaurants, a lot of big names in the bartender world are getting behind pre-batched, bottled cocktails sold in liquor stores. What does this mean for you? Well, you can have friends over for cocktails, and not spend the entire night making them. Pre-batched and bottled cocktails are painstakingly portioned and measured out, meaning that all you have to do is add ice—or don’t! It’s entirely your call. These new arrivals are a far cry from the overly sweet, virgin mixers of decades past. You and your friends can enjoy several professionally mixed cocktails with every bottle you pick up. If you’ve ever had a Kentucky Mule, then you probably know that ginger beer is growing quickly as a popular, go-to mixer for bars and restaurants. Less sweet than ginger ale, it’s got a stronger bite to it than its sweeter, gentler counterpart. For this reason, ginger beer’s sweetness takes a backseat to its bite, and it brings out many other interesting flavors in a cocktail. The spice can really create an interesting heat for fans that enjoy a drier mixer. And if you’re feeling particularly crafty, it’s also pretty easy to make at home.